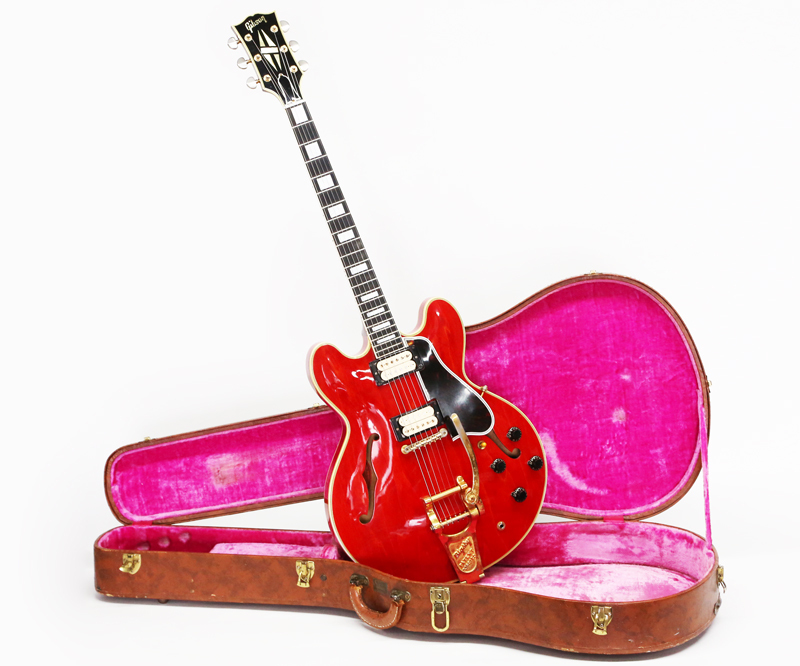 " For your consideration is this vintage 1960 Gibson ES-355 TDC semi-hollowbody electric guitar. 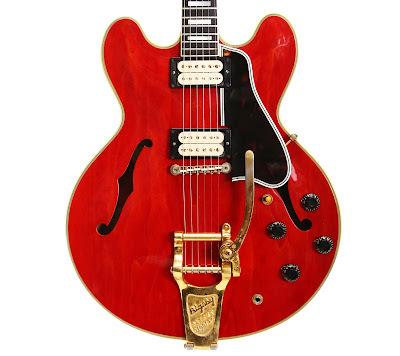 This particular example, serial number A 34287, is in very excellent 100% all original condition and features; (2) original double-white PAF humbucking pickups, a factory Mono electronic configuration, original Bigsby vibrato tailpiece, and an extremely attractive hand-rubbed cherry red finish. Arguably one of the most beautifully undervalued electric guitars, the ES-355 in Mono has always rivaled an ES-335 for the most versatile guitar with PAFs, as well as, being considered by some to be the best electric guitar ever made. This is an incredible instrument in every respect, and this is an extraordinary example. Pound for pound, dollar for dollar, a better guitar can not be purchased. Owned and played by Freddie King, B.B. King, Keith Richards, Frank Zappa, Pete Townshend, and lots of other well-known guitarists, the ES-355 is truly in a class of its own. Weight: 8 lbs. 7 oz. In addition to the (2) double-white humbucking pickups, rare mono electronics with no Varitone system, the original hand-rubbed Cherry finish, and the original Bigsby tailpiece, this 1960 Gibson ES-355 also features: an Ebony fingerboard with pearl block inlays, a 1-piece mahogany neck, double-bound body contruction with a maple top and back, Gibson ABR-1 bridge, original long (profile) pickguard, 5-piece split-diamond inlay bound peghead, Grover Rotomatic tuning machines, black bonnet knobs, original pickup rings, the original gold pickup covers, all original gold hardware, and the original Brown exterior/pink interior hard shell case. The original large frets display wear, but are extremely conducive to effortless playability. The neck profile is perfect: not too big or overly bulky, with still a substantial shape. Since it is an early-mid '60 production guitar, the neck isn't too slim, and is honestly much easier to navigate when compared to a deep '59 shape. The guitar weighs approximately 8 1/2 pounds, and is quite comfortable. It is unbelievably great-sounding. With a solid (no cut out) maple block within, and two incredibly potent PAFs, this guitar is fantastically musical. Sweet singing sustain, combined with an absolutely lush full tonal range, it will instantly produce great tone through any amp. Both the neck and bridge pickup are beyond special, and as far as a tone is considered, you can stop searching, here it is. Aside from a very small seam separation along the bass side of the headstock laminate, this guitar is in extremely clean well-preserved condition. And even though a local luthier claimed the slightly visible seam would disappear with a light polishing technique, we preferred to represent it exactly as purchased form the 2nd owner. "